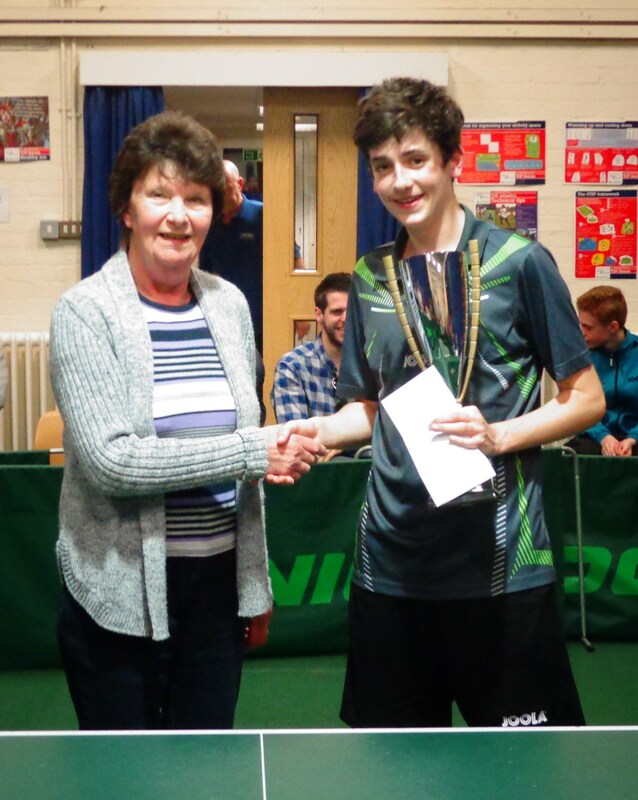 A crowd of around seventy people witnessed some top class table tennis at the Invitation Cup event staged at the Lancing Table Tennis Club on the 11th April. Josh Bennett, ranked No.1 Sussex junior, came through as the winner of Group A and beat Lewis Mayhew the winner of Group B comfortably in the final 11-7, 11-3, 11-6. A draw was made by the six players at the start of the event to determine which group they would play in. Group A turned out to be very strong with last years winner Peter Bartram up against Josh Bennett and George Hazel, who is ranked No.2 Sussex Junior. With Lewis Mayhew in Group B were Lois Peake, women’s ranked No.10, and Rory Scott who was last years runner-up. In the first game of Group A George Hazell beat Peter Bartram 11-6, 11-8, 8-11, 11-9. The next game in the group between Bartram and Bennett was closely fought with Bennett going through in five 11-2, 11-9, 7-11, 9-11, 11-8. The final game in the group between Bennett and Hazell was very close and deserved to be the final. Bennett squeezed home in the fifth 11-6, 5-11, 11-2, 8-11, 14-12. In Group B Mayhew beat Peake 10-12, 11-3, 11-4, 11-9, and beat Scott 8-11, 11-7, 11-8, 11-8. Scott overcame Peake in straight sets 11-7, 11-8, 11-7.